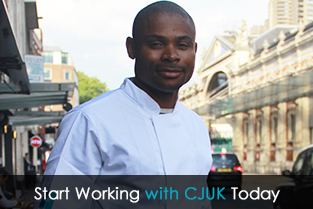 Since 1990, CJUK has been working closely with talented Chefs and hospitality professionals to join establishments in Lancashire, Manchester, Yorkshire, Cumbria, Cheshire, Merseyside, London and the Midlands on a temporary or permanent basis. We don’t just recruit our candidates, but we get to know them personally to help them with their careers and match them to the right jobs. We only register the very best talent then assign them work based on their skills, personalities and preferences. This enables our expert Account Managers to work in partnership with our clients to understand their business culture and find the best suited individual for them. We’re also leading by example and proving that there is #ABetterWay for Chefs to work in the hospitality industry, ensuring they are paid for every hour and have the freedom to choose how, when and where they work. Did you know that some of our temporary Chef brigade have been working with us for over 28 years? CJUK is more than just an agency, we are a serious career choice. If you are looking for your next career move or need help finding the perfect temporary or permanent team member, call the CJUK Recruitment Team on 01254 355666 or email talent@chefsjobsuk.co.uk. Food pictures… Annoying or Flattering? 🤔 Personally, we love seeing our Chefs creations and also love to take a good food picture when we’re.. Being a pot washer, dishwasher or kitchen porter as it’s variably known, can be the first rung on the restaurant ladder towards becoming a..
Take a look at the fantastic CJUK family and our offices based in Blackburn, Lancashire. 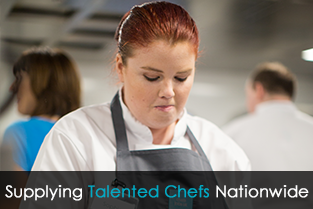 Our workforce is made up of a combination of home grown talent, from those who have completed an apprenticeship with us and moved into leadership roles, to ex-chefs and hospitality professionals who have taken their career in a different direction. As an Investors in People Gold Award winner, we pride ourselves on ensuring our team are the best they can be. We offer excellent career progression and opportunities for personal and professional development.